Objective: This paper aims to observe and analyze the effect of comfortable nursing in clinical nursing pathway for patients having hysteromyomectomy. Methods: 60 patients with uterine fibroidwere selected as research objects, and successively subjected to laparoscopic surgery treatment and comfortable nursing. The comfort indexes before and after comfortable nursing were evaluated using comfort scale. Results: Through comparing comfort indexes (hospital environment, preoperative anxiety, postoperation pain, mentality and excretion), it can be known that the results after comfortable nursing were significantly superior to those before comfortable nursing; moreover the incidence rate of postoperative complications after comfortable nursing was only 3.33% (2/60), including 1 case of respiratory infection, 1 case of respiratory infection. Conclusion: The comfort indexes of patients with uterine fibroidafter comfortable nursing were significant improved, and the incident rate of postoperative complications was also decreased. Therefore, comfortable nursing is of high application value. Uterine fibroidis a common disease in clinical treatment of gynecology, which has an increasing incident rate in recent year . In current clincal treatment, there are two therapies for treating myoma of uterus, including Drug therapy and surgical treatment. The two therapies cannot completely heal myoma of uterus, therefore an effective nursing method is still needed to improving therapeutic effect. Clinical nursing pathway (CPN) is a patient-oriented and comprehensive nursing mode, which requires the cooperation of different medical staff and penetrates through the whole process of treatment, postoperative and subsequent rehabilitation . Comfortable nursing is an individualized nursing mode that makes patients reach a comfortable state in both psychological and physiological level. The application of comfortable nursing in treating uterine fibroidcan effectively improve the therapeutic effect and makes great significance to the rehabilitation. Therefore, this paper mainly investigates the application effect of comfortable nursing in treating myoma of uterus. Uterine fibroid is a common benign tumor in female body, which is closely related to proliferation of uterine smooth muscle cells . The formative process and its different types are shown in Figures 1 and 2, respectively. 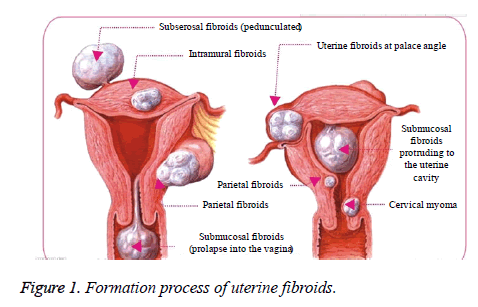 Figure 1: Formation process of uterine fibroids. 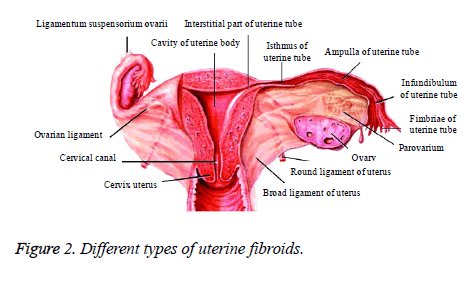 Figure 2: Different types of uterine fibroids. The treatment method of uterine fibroid is determined by the age of patient, tumor site, tumor size and the state of the uterus. The 60 selected patients were all applied with laparoscopic surgery, and then offered with comfortable nursing in CNP after operation. The flow chart of CNP is shown as Figure 3. In addition, this study has gained the approval of ethics committee of our hospital. Figure 4 shows the concrete implementation steps of CNP. 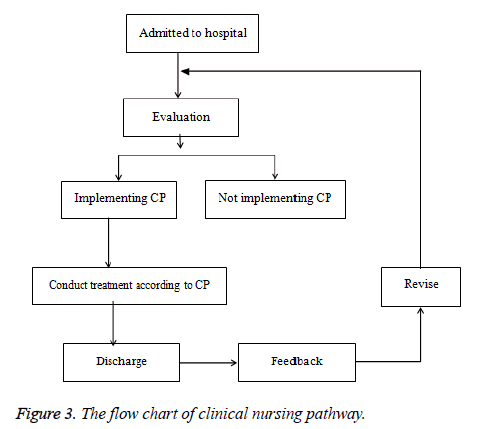 Figure 3: The flow chart of clinical nursing pathway. Figure 4: Shows the distribution of SPIO1-m0 inside macrophages. Before carrying out CNP, all medical staff in the hospital should be trained with knowledge about CP including basic content, implementation and evaluation criteria. First, medical staff should be unified in mind and prepare well for implementing CP. Then, a CNP group will be constructed under the support of the whole hospital. Second, at the day when the patient is admitted, the medical staff should give a timely instruction to the patient and her family members on hospital environment, medical equipment and surgical approaches for uterine fibroid, allowing them have a preliminary understanding on the treatment and hospital conditions. In addition, the physical condition of patients should be timely monitored. The risk factors that may affect surgical treatment should be predicted in time and evaluated. Relevant examinations and preoperative preparation should be conducted. Third, carry out health education for patients with uterine fibroid. The pathogenesis of uterine fibroid and the purpose and therapeutic effect of laparoscopic surgery should be carefully told to patients. Moreover, the diet and rest characteristics of patients should be observed and guidances should be given accordingly. The patients suffering negative mood after operation will be subjected to target mental nursing. Fourth, at the date when surgery is conducted, intraoperative and postoperative attention points should be once again told to patients before operation. The purposes of electrocardiograph monitoring and inserting catheter as well as other cautions should be conveyed to patients. During operation, the change of vital signs should be observed timely. After operation, the operative incision, bleeding situation and change of vital signs should be observed, and careful nursing should be given to incision and catheter. After the patient's awareness is fully recovered, the medical staff should first inform the patient success of operation, and then give mental nurse to the patient. After the operation, the patient's pain should be evaluated carefully, and then a targeted nursing therapy against pain will be carried out. Finally, rehabilitation training will be carried out. The patient is instructed to move her limbs and conduct certain off-bed activity under the premise that pain is significantly eased. Meanwhile, the gastrointestinal motility of the patient should be observed, and the patient will be guided to take a correct dietary mode. At the date of discharging, medical staff should assist the patient in check out procedure, and provide detail instructions on diet, rest, exercise and drug medication. Regular reexaminations are recommended, moreover follow up clinic is necessary upon any discomfort. After finishing nursing, the comfort indexes of the patient will be evaluated according to comfort scale . The comfort scale consists of hospital environment, preoperative anxiety, postoperation pain, mental and excretion situation (Figure 5). In addition, the possible postoperative complications such as respiratory or urinary tract infections, deep venous thrombosis and intestinal obstruction will be recorded. Figure 5: Evaluation of comfort indexes. After accepting comfort nursing under CNP, the comfort indexes such as hospital environment, preoperative anxiety, postoperative pain, mental and excretion situation were significantly improved, as shown in Table 1. Table 1: Improvement of comfort indexes. After accepting comfortable nursing, the incidence rate of postoperative complications was only 3.33% (2/60), including 1 case of respiratory tract infection and 1 case of urinary system infection. Clinical Nursing Pathway (CNP) is a new type of nursing management that started in the United States. It develops patient-specific nursing principles and programs based on patients’ actual condition with patient as the nursing center, time as the horizontal axis and specific nursing measures as the vertical axis. As a standardized nursing model, it plays a positive guiding role in nurses’ nursing work . The main features of CNP are high efficiency, high quality and low cost. In recent years, with the continuous improvement in patients' requirements for nursing quality, CNP has been widely used in clinical nursing. The clinical practice of clinical nursing path is growing, with nursing mode continuously improved and optimized. At present, a more scientific and perfect clinical system has formed in such nursing mode, which serves a positive impetus to the improvement of clinical nursing quality. Clinical nursing pathway is more and more used in surgical nursing of patients with uterine fibroid, and relatively ideal nursing effect has been achieved. Qingqing  implemented clinical nursing pathway in uterine fibroid surgery and achieved good results. Jiejing  studied application of clinical nursing pathway in patients with laparoscopic surgery on uterine fibroid. The results showed that patients’ hospital stay, hospitalization costs, disease knowledge mastery and nursing satisfaction were significantly improved. In addition, in the process of applying such nursing mode, medical staff is required to strictly follow the nursing path planning and revision in terms of time, method, content, etc., not only satisfying patients' cognition needs for the disease, but also improving the health education effect. At the same time, it also reduced the workload of medical staff and prevented omissions in nursing work. Shuqin  applied clinical nursing pathway in patients with uterine fibroid surgery, and also obtained research results consistent with that of Jiejing. It suggested that clinical nursing pathway not only enhanced nursing efficacy, reduced unnecessary waste of medical resources, but also improved the nurse-patient relationship, and thus is a positive and effective nursing model. Many clinical studies have shown that application of clinical nursing pathway during treatment of patients with uterine fibroid can effectively alleviate patients’ postoperative pain, reduce the incidence of postoperative complications, greatly shorten patients’ hospital stay, and reduce patients’ mental and economic burden. During the implementation of clinical nursing pathway, medical staffs should take the initiative to explain in detail to their patients about the disease or treatment, which not only increases the chances of communication between patients and nurses, but also meets the needs of patients and their families for nursing work, thus earnestly safeguarding the nurse-patient relationship, raising the satisfaction of patients and their families to the hospital's clinical nursing work, and reducing unnecessary nurse-patient disputes. Implementation of comfort nursing in clinical nursing path changes values and work attitude of medical staff so that the daily passive nursing work turns into a proactive working model. On the day of admission, purposeful and planned humane nursing work should be carried out according to the relevant procedures of clinical nursing pathway based on the a well-developed nursing workflow, the disease-related knowledge should be explained in detail, daily assessment of nursing effectiveness should be made. Also, responsible nurses should conduct regular or random inspection to strengthen daily nursing supervision intensity. In this way, nursing quality can be effectively improved, so is patients’ comfort and nursing satisfaction . Comfort nursing is an individualized nursing mode, which integrates integral nursing and humanized nursing. The application of comfortable nursing in CNP can significantly improve the nursing quality of hospital. From being admitted in hospital, the patient is provided with the most comfortable hospitalization environment. The preoperative anxiety, postoperative pain, mental and excretion condition of patients were fully considered in the CNP. Doctors, nurses and patients are in a sound coordination relation, so that the most satisfactory nursing service can be provided to patients . This study shows that during the nursing process for patients with uterine fibroid, the application of CNP can significantly improve the comfort indexes of patients and greatly reduce the incident rate of postoperative complications. In addition, the application of comfortable nursing in CNP can reduce nursepatient disputes. Therefore, the application of comfortable nursing in CNP is an effective nursing mode, which is worth of being promoted in clinics. Shuangping Q. The application effect of clinical nursing pathway in perioperative nursing of uterine fibroids. Henan Med Res 2015; 10: 161. Jing Z. The application effect of clinical nursing pathway in nursing patients after uterine fibroid surgery. World Latest Med Informat 2015; 67: 200. Jinfang G. The application of clinical pathway in perioperative nursing of patients with uterine fibroids. China Continuing Med Edu 2015; 28: 250-251. Dianpeng H. The application of clinical nursing pathway in nursing uterine fibroids patients after operation. China Practical Med 2014; 32: 205-206. Li C. The application of clinical nursing pathway for patiets with uterine fibroids. Chinese Foreign Med Res 2014; 30: 76-77. Qingqing C. Exploration of clinical effect of clinical nursing pathway in uterine fibroid surgery. J Xiandaiyangsheng 2015; 20: 266. Jiejing Z. The application of clinical nursing pathway for patients with uterine fibroids after laparoscopic surgery. Guide China Med 2013; 11: 776-777. Shuqin H. Observation of application effect of clinical nursing pathway in uterine fibroid surgery. Guide China Med 2013; 12: 727-728. Qiuxia G. Analysis of application of clinical nursing pathway for patients after uterine fibroid surgery. Adolescent Health 2014; 12: 34-35. Miyun Y. The application effect of clinical nursing pathway for patients accepting uterine fibroid surgery. Contemp Med Forum 2014; 18: 114-115.